Outbound cold messaging has been in the market for a quite some time. However, what worked in the year 2014 might be obsolete now. That means you have to change your approach and make necessary changes to make sense out of your email outreach. Most importantly, you should get meaningful results. Let’s have a look at those aspects. If you are throwing e-mails like throwing leaflets from a helicopter, then you better get mindful now. Its never going to work. First, when you throw e-mails like leaflets, you are going to annoy people. That is not all; you are throwing e-mails without even seeking permission and this will greatly affect your credibility and sense of responsibility as a service provider. Second, even if you manage to make some people get interested in your email, you are not going to get desired results because there is a certain difference between curiosity and true business relationship. Hence, make sure that you choose your prospects rightly and send highly personalized email. You might have heard a lot of telltale about stunning templates awesome effects. However, all those notions are just as bizarre as expecting your customers to read template that you have copied from the web. That is true! When you copy a template, you relegate your authenticity in the event because your readers are not going get surprised by this super idea of coping templates. In fact, you should be more objective in your approach while creating templates. For instance, you have to know your audience groups’ browsing habits to craft effective templates. 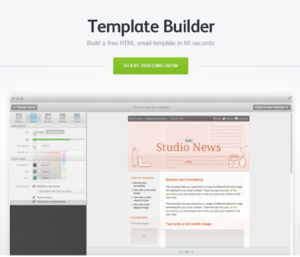 The image below is a template creator that can help you in customizing your template. You can look at other’s e-mail template to understand how they craft their place. Learn, apply and grow. If one e-mail campaign fails to bring results, then it does not necessarily mean that you should stop sending cold e-mails. In fact, you should try different kinds of campaigns. 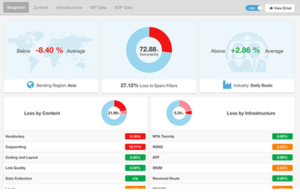 The above image is a screenshot of e-mail marketing analytic tool. You can certainly look at the open rate, click rate, CTO rates, bounce rate and unsubscribe rate to identify where things are going wrong. After identifying the core areas where things look a little murky, you can craft emails again. For instance, a badly crafted subject line can affect your click rate. Similarly, an email with the less effective copy matter can increase the bounce rate. That is true! 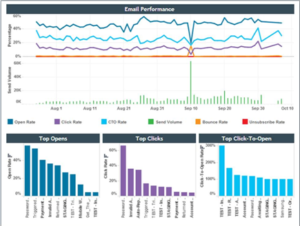 Small things can impact the overall performance of your e-mail campaign. So, make sure that you have the eye for detail. Experiment with a few formats and you will see that one will just work fine. If you think that you can persuade your prospects to buy your products and services, then you should be reevaluating your expectation. It is literary impossible to make a sale at the first attempt unless the prospect is in dire need for your products and services. Unfortunately, the chances are really remote for such situations. So, make certain that you approach it humanely. Start a conversation, intrigue, welcome, introduce yourself and be keen on knowing your prospects. You cannot just build relationships just in two emails. Actually, it takes time to build relationships. So, ensure that you do not go overboard with your selling ideas. 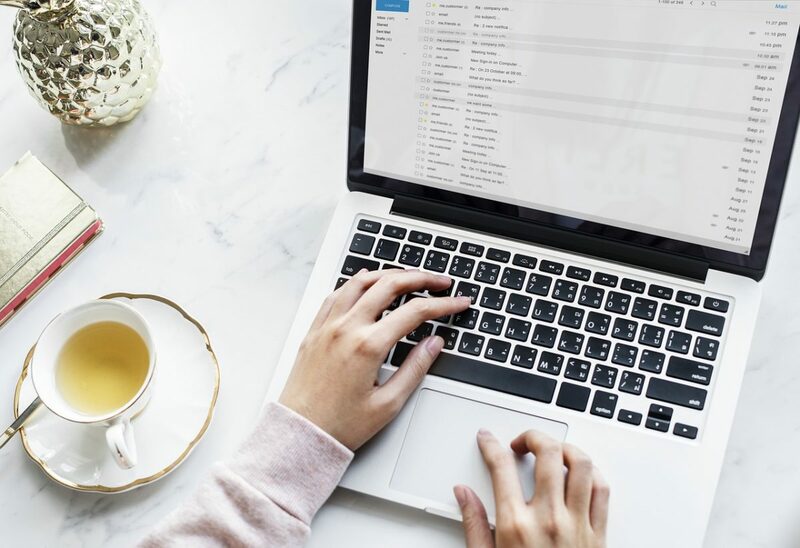 It is understandable that you want to read emails at your convenient time but you have to remember that it is not about what you like; in fact, it is about how responsive you are. If you fail to show interest and do not reply to your clients’ emails, then you might lose them. Out of a hundred emails, you might get one reply and you should never miss that opportunity to reply to the customer. You can end up making a huge deal if you respond properly. You might want to send e-mails in bulk but that is not an ideal way. Undoubtedly, you can reach more people but you need to get a bit more precise if you want to get better results. Make sure that you create small and different groups. Divide them and define the appropriately. After defining the groups, create different campaigns for each group and send them. That is not the end-game; in fact, you should be testing the campaign’s efficiency by looking at the open rate and other metrics. For instance, if you discover that certain subject line has a better open rate, then you should try to create similar subject line. The new age digital users are looking for personalized communication. Therefore, you should personalize emails. There are various tools like Woodpecker that can send bulk emails that would be delivered to the inbox exactly the way you would send an e-mail manually. 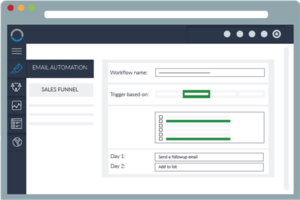 By sending e-mails through automation tools, you might get more replies. The deliver-ability of your e-mails depends upon various factors that include the quality of your domain, server configuration, e-mail copy, delivery setting and quality of your client base. Any factor lacking the quality can hamper your deliver-ability. Hence, ensure that you find out those deliver-ability factors so that you can change settings and your approach to get better results. The below-mentioned snapshot explains those factors clearly and how it impacts your discoverability. It is not difficult to understand those metrics. You should go beyond the idea of numbers, data and metrics. It is understandable that people emphasize too much on numbers; however, you should be concentrating on results. A good open rate might look like glorifying factor but it would make no sense if it fails to deliver you results. So, ensure that you look at the metrics without getting overwhelmed by the idea of numbers. The above-mentioned tips should be able to help you in increasing the efficiency and effectiveness of your email content. Note; you need to be alert because what works today might become obsolete and ineffective soon. Shiva Kushwaha is a lead blogger and content marketer working with Ranking By SEO. He has been working in SEO industry since 2013. He has written on different digital marketing topics including, SEO, Link Building, Content marketing and so on.